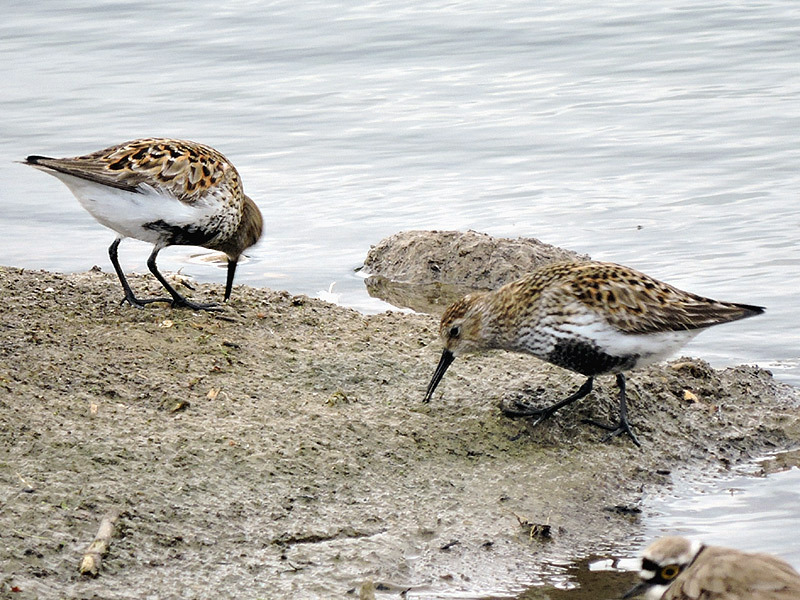 Birds featured on this page are waders, of which four species are known to have attempted to breed locally, with limited success, but only one is resident year round. The majority have been seen only when passing through on migration. A selection of images can be seen in the gallery and then the status of each individual species on the park is detailed below that. 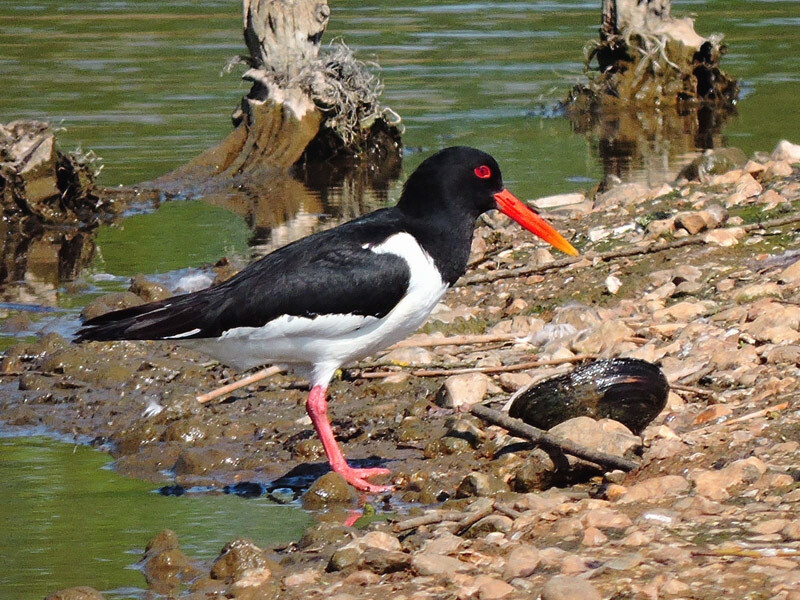 Oystercatcher Became an annual visitor from 2002, arriving in April, began attempting to breed on Sandford from 2012, rarely succeeds. In recent years it has begun arriving in February and March, but never in August. 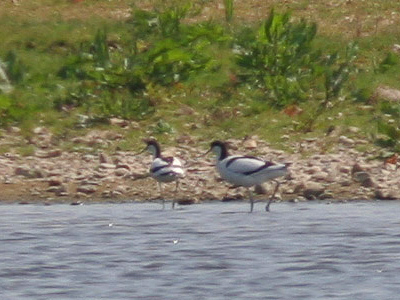 Avocet Extremely rare migrant, 2 records, the first on 13th March 1984, circled BSL and Sandford, then landed briefly along golf course strip, then flew off North. Then a pair 11th May 2008 on LFGP all day. 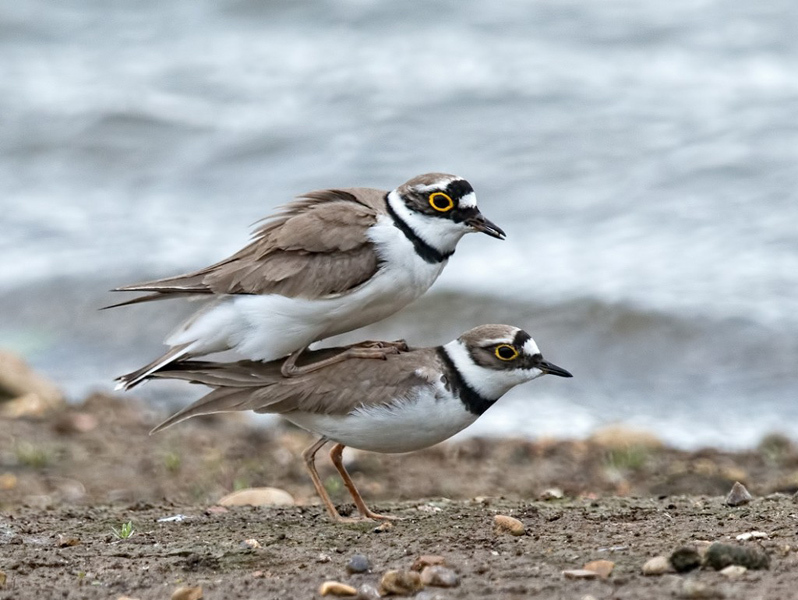 Little Ringed Plover Uncommon but regular visitor to Lavell’s and LFGP from mid March to mid August. Has attempted to breed without success. Ringed Plover Uncommon annual passage visitor, 1-3 birds sometimes in March, but more often late April and especially May, then some returning birds from July to September. 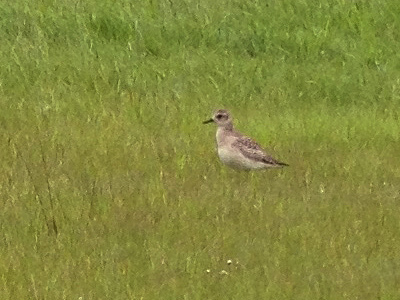 Grey Plover Very rare migrant, 1 on 28th April 1984 on Sandford for barely one hour, 1 on Tern scrape 23rd May 1992, 3 on Tern scrape 27th April 1993, one unconfirmed 16th May 1998, the last 1st May 2014. Golden Plover Annual winter and passage visitor, over recent years quite frequently recorded flying over in early October, then birds get in with Lapwing December to February during snowy conditions. Lapwing Resident, with a few pairs lingering but not actually breeding. As a winter visitor, up to 2000 birds can occur on the landfill. 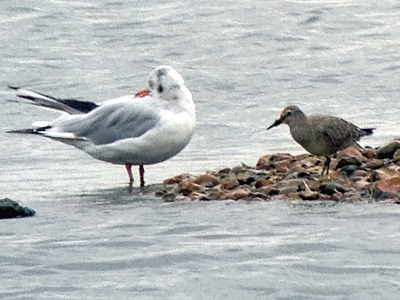 Knot Extremely rare migrant, one record 24th September 2012 on LFGP for just a few hours. 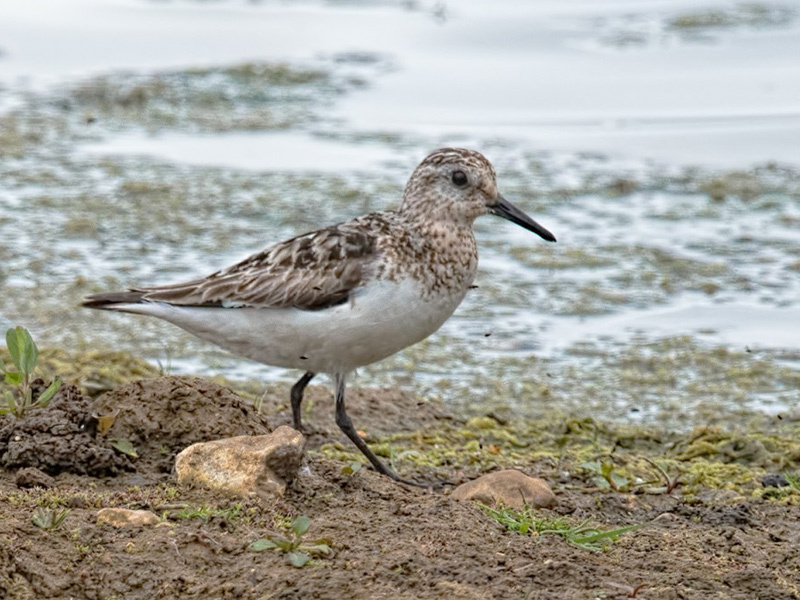 Sanderling Very rare migrant, 1 on Sandford 2nd May 1983, 1 on BSL sailing club beach 18th April 1987, 1 on Tern scrape 13th & 14th May 1988, 1 unconfirmed Tern scrape 8th May 1993, another unconfirmed Tern scrape 20th October 1995, 1 on BSL sailing club beach 30th May 1999, finally 1 29th July 2015 LFGP all day. Little Stint Extremely rare migrant, 1 confirmed on Sandford 8th July 1983, 1 on Lavell’s 22nd September 1993, then an unconfirmed report of 2 from 10th to 12th September 1995. Temminck’s Stint Extremely rare migrant, 1 confirmed on Tern scrape 20th May 1989. 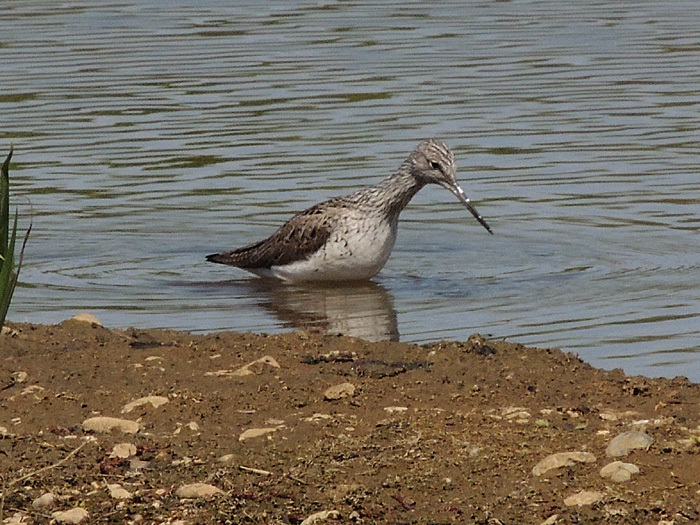 Curlew Sandpiper Extremely rare migrant, 1 confirmed on 2nd October 1988. Dunlin Annual passage visitor, usually 1-3 birds March to May and July to September on LFGP, but odd birds show up on ice when the lakes all freeze up in December and January. 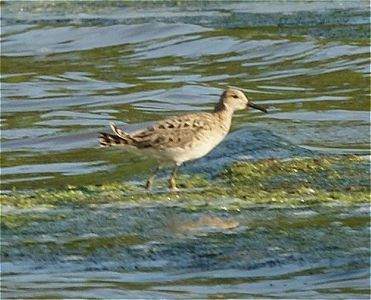 Ruff Now become an annual visitor since 2009, in January and February, then May, July and August, all on LFGP and the landfill. Jack Snipe Very uncommon passage visitor, usually 1 bird sometimes wintering. 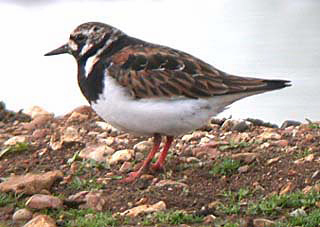 Most frequently found in February, March, then October and November, with nearly all records from Lavell’s Tern scrape. 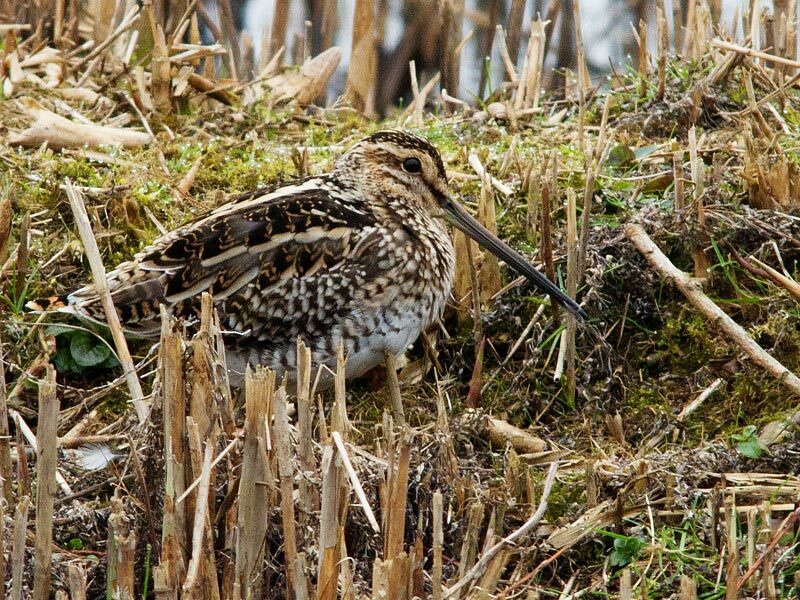 Snipe Common winter visitor, on Tern scrape between September to April, where numbers vary from 5 to 40 birds, LFGP also attracting another 20-50 birds hiding in the lake edge vegetation. Woodcock Very uncommon winter visitor, one of the hardest annual visitors to see, due to their habit of flying over Lavell’s late dusk, most frequently January, February and December. 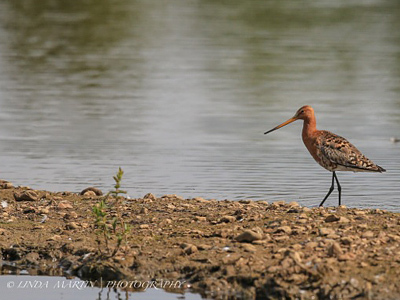 Black tailed Godwit Annual passage visitor, almost never staying more than a few hours. Sometimes in April, but most often in early and mid July, then early, mid and late August, but even as late as November. 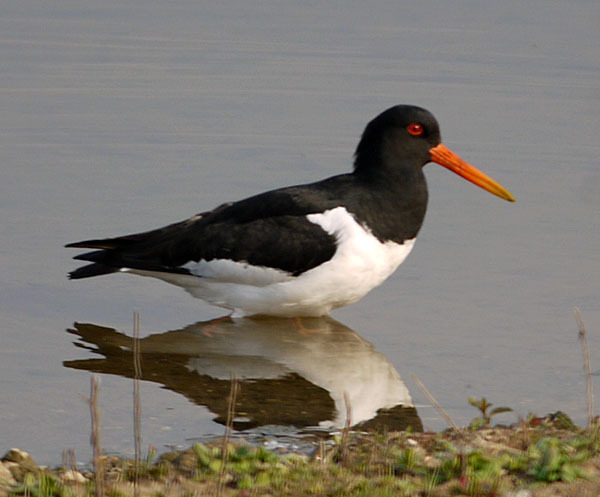 Groups of 4-7 birds can occur, but flocks of 20-40 have been seen. 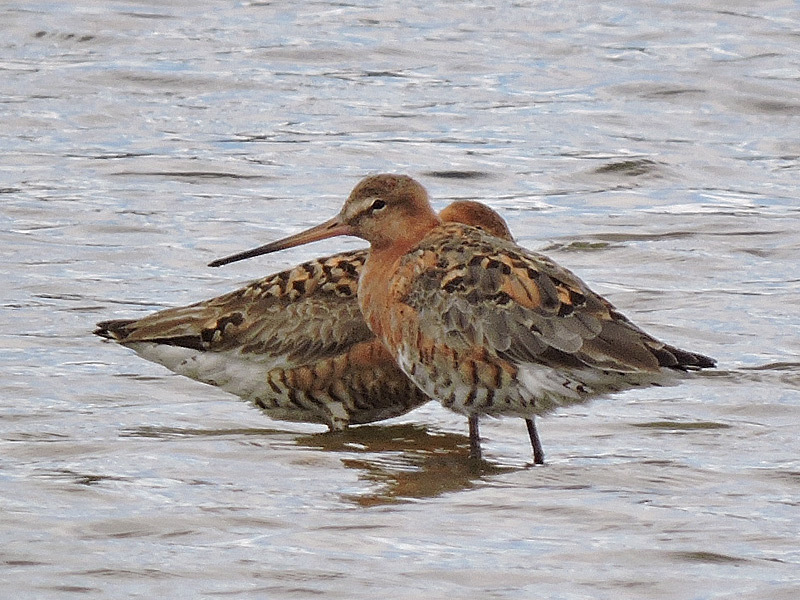 Bar tailed Godwit Nearly annual, if not annual, but very uncommon passage migrant that infrequently lands. Occurs in late April and May, then early to mid September. Usually involves 1-2 birds, but large flocks are possible. Whimbrel More or less annual migrant, nearly all just flying over often early in the morning, 1-2 around the third week of April, some mid May, then mid July, then early and late August. Curlew Annual passage visitor, 1-3 can occur in January and February during freezing weather, but genuine passage in September and October. 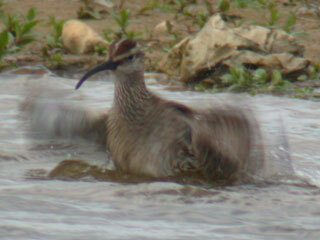 Flocks of between 6 and 20 have also been seen in late April and mid May. 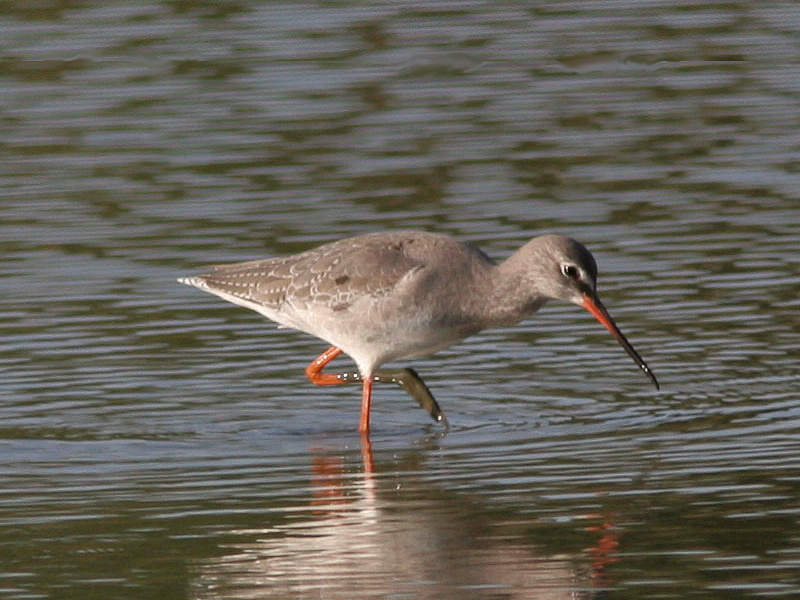 Spotted Redshank Rare migrant, 1 over Sandford 3rd September 1981, 1 on Sandford 20th August 1984, 1 over 9th September 1985, 1 on Sandford 11th September 1989, 1 visiting from Twyford pits from 16th to 20th August 1990, 2 unconfirmed reports in 1994, 1 on 26th May, 2 on 26th August, then 1 on 18th & 19th August 1995, another unconfirmed report 28th April 1996, another visiting bird from Twyford pits 14th September to 2nd October 1998, an early migrant on Tern scrape 15th March 2003, 1 on Tern scrape 30th August 2008, 1 heard over 26th August 2014 and finally 1 juv. at LFGP August 2016. 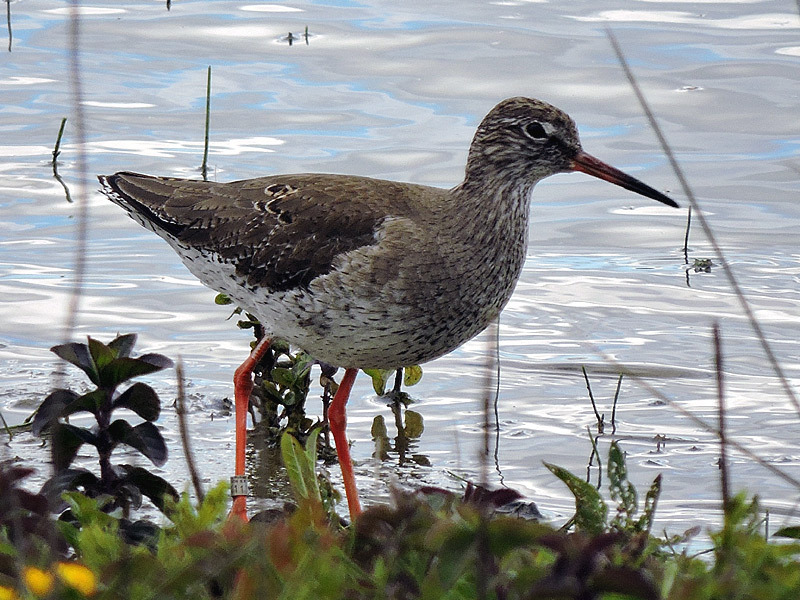 Redshank Annual summer visitor, arriving February and March, often seen mating at Lavell’s, Sandford and LFGP, but corvid harassment usually means they never stand a chance of breeding success. Flooding also has a big part to play in undermining efforts. 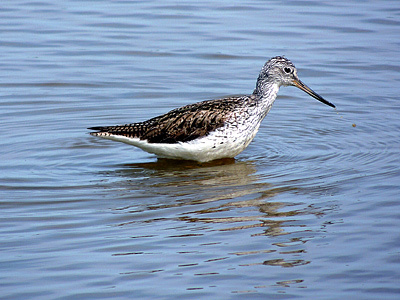 Greenshank More or less annual passage migrant in late April and May, sometime in mid July, but anytime between early August and late October. Lavell’s, Sandford and LFGP are the best places to see them. 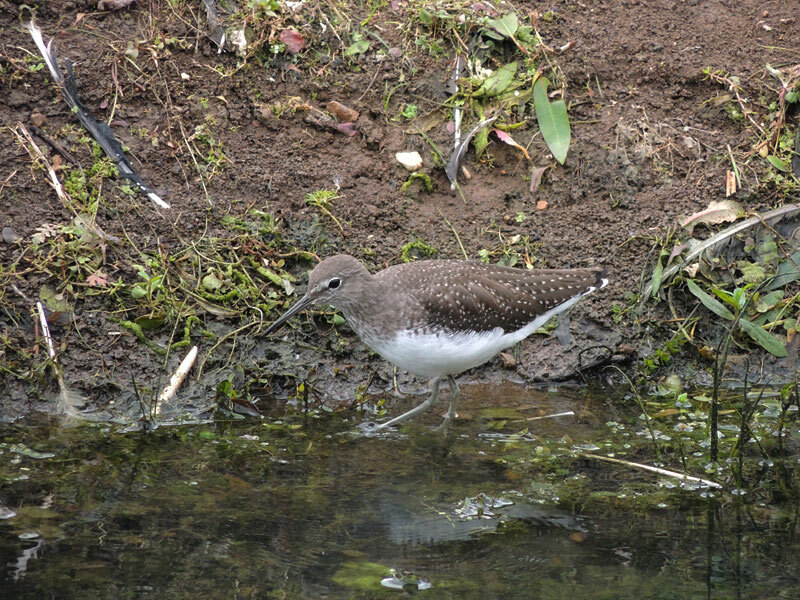 Green Sandpiper Annual passage and winter visitor in late March and April, then late June to late October. 1-4 birds typical on the shallows of Lavell’s and LFGP. A flock of 14 birds was seen 3rd August 2015. 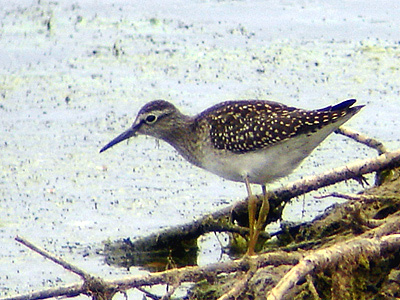 Wood Sandpiper Rare migrant, first report of 2 on 25th & 28th July then 1 on 3rd & 11th August 1981, 1 possible 29th June 1983, 1 in September but no date given (Berks Bird Report), 1 Tern scrape 13th July 1985, 1 on Tern scrape 11th May 1989, 1 on 14th June 1990, 1 on Tern scrape 27th May 1991, 1 unconfirmed 21st August 1992, another unconfirmed 21st August 1996, 1 on Tern scrape 12th July 1998, 1 Tern scrape 30th July to 3rd August 2000, 1 flew over Lavell’s 26th September 2010 and finally 1 LFGP 6th to 9th August 2011, then 2 from 10th to 14th, 1 remaining until 16th. 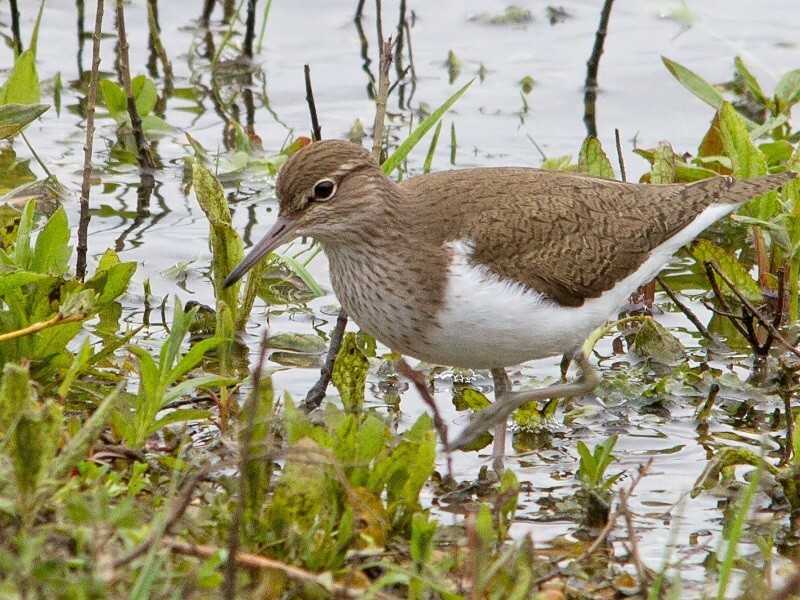 Common Sandpiper Annual passage visitor from early April thru to late May and then early July to October. 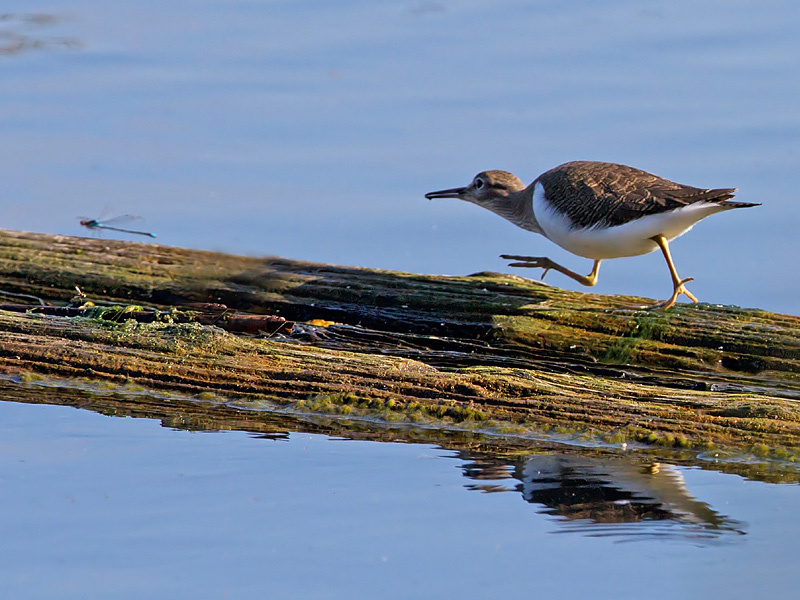 1-5 birds can occur on any lake, but most frequent on BSL, Sandford, Lavell’s and LFGP. Flocks of 16 birds were 25th August 2013. Turnstone Uncommon and getting less common in recent years, always just one bird, rarely staying longer than one day, in May, July, August and September and most on Lavell’s, the last in 2012 on LFGP. Grey Phalarope Extremely rare vagrant, one record after the 1987 storm of 2 on BSL 16th October. Wilson’s Phalarope Extremely rare vagrant, one record of a first winter, on the newly dug Tern scrape 30th August 1987.